Long flights can zap your energy and leaving you feeling like you’re in a fog, but there are some things you can do to combat these problems. Over the years, I’ve learned some tricks for making the best of these long flights. In this article, you’ll find my best tips to help you feel as good as possible at the end of a long flight. Find a diagram of the plane for the flight you’re booking. You can do this by checking the airlines web site for the type of plane they use. 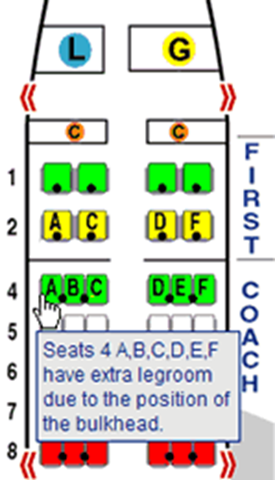 Most airlines show their seating arrangement online. If the airline does not have a seating chart for your flight and if you know the type of aircraft, you can find diagrams on SeatExpert and SeatGuru. All seats are not created equal, so you should always check sites like SeatExpert and SeatGuru to find advice on which seats are good and which seats you should avoid. In general, the best seats in economy class are exit row seats which offer more leg room. If at all possible avoid the middle seats. If you don’t get a good seat assignment at the time of booking keep checking periodically to see if any of the better seats have opened up. Seats will open up particularly on the day of the flight, so be sure to politely check for better seats at the airport on the day of you flight. Most long haul flights include movies, but some airlines charge a fee to buy headsets in the coach cabin, so bring a small pair of earphones with you just in case. If you want to avoid feeling like a raisin at the end of your flight, make sure you are well hydrated before you board the flight. 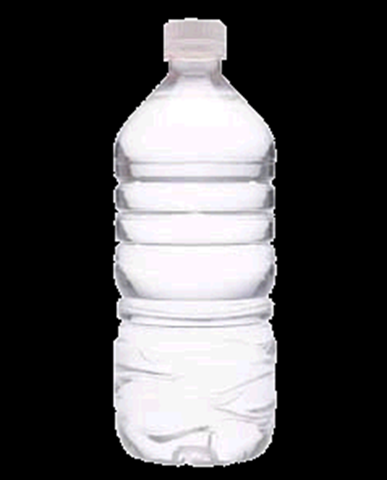 Bring a bottle of water to sip throughout the flight and if flight. To avoid any security issues, buy the bottle of water inside the terminals past security. If flight attendants offer cups of water during the flight, take advantage of that as well. These are my “must bring” items that I never fly without. Lip Balm – I apply often so that my lips aren’t flaking off by the end of the flight. Kleenex – You will be surprised how dry your nose will get during a long flight. I often get sneezy. Some times I’ll bring a small bottle of nasal saline mist which I will use in the lavatory. Immunity booster like Airborne – To help boost my immune system and fight off colds. Even celebrities swear by it. A travel pack of antibacterial wipes. I use these to wipe down all the surfaces at my seat and around the tray table when I initially sit down. (Who knows what kind of cooties the previous passenger had?) I also use the wipes throughout the flight when I’d like to wash my hands, but it is too inconvenient to get up to go to the lavatory. If you plan to do any sleeping, an eye mask, earplugs, and neck pillow are essential. I use an inflatable neck pillow to save space in my carry-on luggage. Once you shoehorn yourself into your seat, it’s so easy to just sit there with limited movement. Hours may pass without getting up out of your seat. Before you know it, you may need a crowbar to lift your bottom off your seat. There are a few simple exercises and stretches you can do to keep your refreshed. Qantas offers some easy exercise suggestions on their web site. (I know I told you that there were five tips, but as you know, I always like to over deliver at GoVisitHawaii.) Pick out your most comfortable outfit and wear that on the flight. Try to wear something that is stretchy and unrestrictive. Most people experience some swelling during a long flight. I’ve found that my feet usually swell slightly during a flight. So, I always take my shoes off and put on a pair of socks. I hope you have found these tips to be useful. Do you have any others you’d like to add? Please share your suggestions in our comments. This post inspired by Daily Blog Tips Writing Project. You may want to check http://flyana.com for airline travel health safety tips. Diana Fairchild lives on Kauai and is a world expert on health issues during airline flights. I forgot to mention that I would not recommend drinking tap water from an airplane. Make sure you drink bottled water. I’ve heard that some tap water from airplanes is not the cleanest (depends on the airlines, specific planes and cleaning staff). Hi Christian – I hadn’t heard of Diana Fairchild. Thanks for the link. I just signed up for her newsletter. Also, thanks for the tap water warning. Seems like there were reports out about a year or so ago warning that the drinking the tap water on the plane was risky. If I remember correctly even coffee and tea made on board might slightly contaminated. I just did a quick search and found this article about contaminated water in airplanes. http://www.ens-newswire.com/ens/jan2005/2005-01-19-02.asp Most articles I saw were from January 05. I haven’t heard any new reports out recently, have you? Those are some really good tips. One thing I was told before my first 12 hour trip was to plan bathroom breaks. That is, know when dinner and breakfast will be served and try and use the bathroom before this. This way you don’t get trapped in your seat, and usually there is a rush for the bathrooms after meals. @Jimbo – LOL…those are some helpful items. One extra thing I make sure to have in my purse are eye drops in case my contacts get dry and they invariably do. And if you are the type of person who likes to sleep their way through those long flights, try to time your arrival at your destination for early morning. It helps to adjust to the time change more quickly. The reverse if you tend to stay awake the entire flight. I’ll be coming back to check out your blog more thoroughly. We lived on Maui for four years and I do miss it terribly, so I get my Aloha fix wherever I can. The need to continually walk around the plane for stretching. eat) However, they usually are the seats with the bassinets i.e. to sleep/read the screen will be flashing away directly above you. sleeping. Some people have been injured by turbulence when they have left their seatbelts off. Pingback: Some tips and tricks to learn from : All about Shopping! @ Susan – Thank you for mentioning eye drops. A bottle of visine used to be my trick for looking bright eyed at the end of an overnight flight. I used to carry a bottle in my purse, until the new regulations for carrying liquids on board. Since I almost always travel light and bring all my luggage on board, my zip-lock baggie quickly gets full with 3-oz bottles of sunscreen and I run out of baggie space quickly. I look forward to your return visits for your aloha fix. Thank you for commenting! @ Jason – Well hello, friend! It was so nice to see your comment! You are an absolute expert on long haul flights! 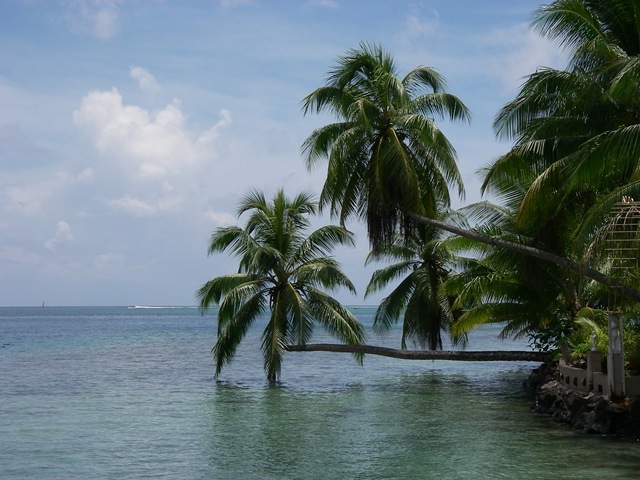 About the bassinets – the first time I ever saw one used was from Tahiti to LAX on an Air Tahiti Nui flight. I thought it was neat. It would be nice if they were adult sized. 😉 I don’t believe US airlines use them. I will have to try your suggestions of exercising and drinking milk on my next flight. Great tips from Jason – he’s probably circled the world a million times. For me, bulk heads are hit and miss. You need to know the actual plane. 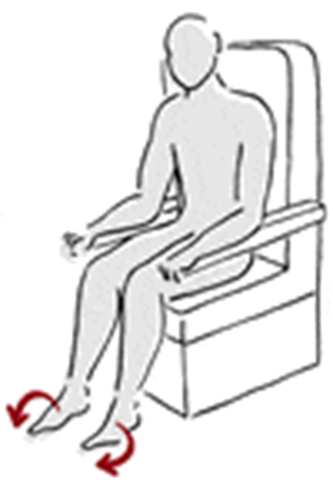 Some bulk heads have 3-4 feet of legroom, while others have less than the regular seats. Try wearing travle socks during long flights. They really help keep your legs felling great. The Smartknit Energy Travel socks are wonderful and you can find them at Therawear.com. The website is http://www.therawear.com/travel_socks.html. I hope this helps keep you comfy!